VoizNoiz is a collage of voices, sampled of street-sounds, movies, news-programs, stations et cetera.The voices are taken out of their original context, are cut in fragments, which are electronically processed. Subsequently these fragments are placed into music again and the result is comparable to a wall of amusing yet confusing chatter. "This is lounge music of a high level." NRC Handelsblad (Dutch national press) " It definitely has something ........ somewhere between lazy and slow, sharp and exciting, between intellectual musical lust for experiment and street music." HiFi Video Test (Dutch audio magazine) "..... really amazingly beautiful solo's that pass by fragmentarily and very excitingly....... a search that has just begun, but already appeals to one's imagination." 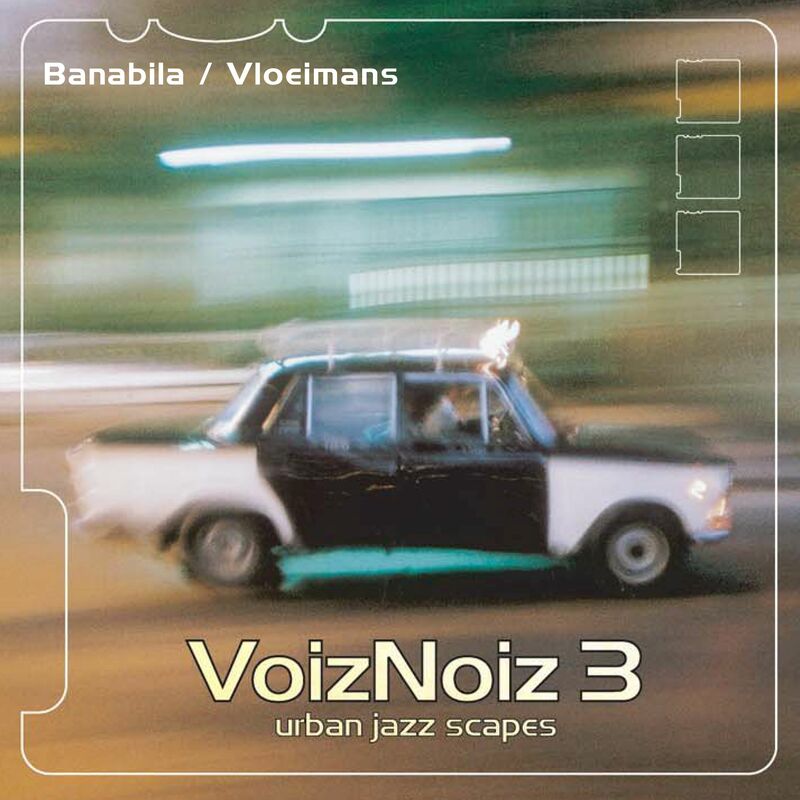 BN/De Stem (Dutch regional press) VoizNoiz 3, urban jazz scapes are 11 originals which can be described as 'atmospheric cinematic jazz-scapes'. The terms 'nu-jazz','ambient jazz' and 'jazz&electronics' are applied to this style of music. Composer/sound-designer Michel Banabila (Amsterdam 1961) started his work as an autodidact and made his first recordings in the early '80s. Since then many recordings followed, also in cooperation with other artists from different cultural backgrounds. After 20 years working and touring in The Netherlands and the rest of Europe, and performing on (inter)national radio and TV, Banabila has an established reputation in the field of sound-design. Michel Banabila appears by courtesy of Steamin'Soundworks / published by Steamin 'Songs. www.banabila.com Eric Vloeimans (Huizen, 1963) is Holland's pride and joy for his trumpet-playing and his composing skills. In 2001 he won the prestigious VPRO / Boy Edgar Jazz Award. In 2002 he was awarded with the Bird Award 'Artist Deserving Wider Recognition', that was presented to him at the North Sea Jazz Festival. Banabila & Vloeimans have received an Edison Award for 'VoizNoiz 3'. From the jury report: "This is jazz in its most revealing form. It is a pleasure for the antennas and senses of music lovers with an open, aural mind."